I recently wrote that I had heard and read the opinions of a number of people about what is Business Architecture, as I am sure many of us have but I wanted to understand it from the perspective of people who actually had Business Architect in their job title. So I wrote to 183 people in Australia and New Zealand and asked them. The initial summary (blog) of the responses I received was focused on the feedback from Business Architects who were employed by organizations I think of as consumers; this one is focused on the feedback from consultants, ranging from those who are working on their own to others who are working with some of the largest consulting firms that we know. Why I chose the countries I did and the questions I asked are contained in that earlier blog. Again the responses have been amazing and thank you to everyone who took the time to do so. They included some wonderful insights into their role and into their beliefs with respect to Business Architecture. Summarizing the feedback from the consultants is even more difficult than that of the consumers. Understandably, each of them has their own approach. I have found it very difficult to decide what to leave out in order to get this down to a reasonable length for a blog. It is important to repeat that I am still in the process of seeking to understand, so I would be really pleased to hear from anyone who has such a role, to correct any misunderstandings I might have or erroneous conclusions I may have drawn. Generally Business Architecture is seen as business process review and/or business process improvement. There is not much real Business Architecture going on at the moment. It is not formally recognized. Last year I was in the supply chain team (who also deal with Lean and other operational improvement skills). We have Business Analysts, and a People and Change Team. We have several areas than do Operating Models. To me various elements of these would be included under the Business Architecture banner. The Business Architecture will exist with or without technology, but as soon as technology is involved, the technology exists to service the business architecture, and the business architecture should be the input to the technology and application architecture. The business architecture I am referring to is not the traditional element of the IT based Enterprise Architecture, but a framework that is totally business oriented and in which the whole business, including IT, can commit to in order to truly understand their problems and most of all the potential to genuinely improve the business. The primary focus of the Business Architect includes the analysis of business motivations and business operations, through the use of business analysis frameworks and related networks that link these aspects of the enterprise together. The Business Architect works to develop an integrated view of the business unit, in the context of the enterprise, using a repeatable approach, cohesive framework, and available industry standard techniques. Being able to see the big picture and have the ability to communicate with key stakeholders was emphasized time and again. Show the CEO where impact is on a page – give confidence – control. Help him make decisions around priorities. The secret of good architecture is taking all the complexity and presenting it in a simplistic way that anyone can understand on a ‘need to know’ basis and quickly find the right answer to the current and/or planned state of business components. BA facilitates strategic consistency with the business. Where do we need to differentiate more than others? How do we build in once or move to one instance? A common feature in the feedback is that underneath the models the information is rich – enables drill down – traceability to underlying requirements linked to the requirements. Define/ champion 1 common reference model / capability model / logical building blocks of the enterprise. Establish Capability, Information maps, Value Streams, stages and business processes. Have intimate knowledge of the Business Capability (As Is/To Be), Business Component Structure, Business Processes, Value Streams and Conceptual Business Models. Each value steam has Inputs (that triggers the value stream) and Outputs (the value based result of completing the business activities). Each value stream is designed against Critical Success Factors, founded on the strategic intentions and priorities of the business, that represent the required business performance with Time, Cost, Quality, Risk and Compliance. Compliance – The specific interpreted requirements placed on the activity by interpreting the obligations of associated legislation and regulations. Value streams are directed or informed by policies, plans, procedures, governance, regulations, business rules and other guidance, and are enabled by roles, IT Systems and other resources that will directly or indirectly support their completion. The As-Is Architecture consists of the related value streams, indicating how the business is currently performing. Under the facilitation of the business architect, design teams investigate how these can be improved to produce the Target State version of the Value Stream. It was argued that displaying the relationship between the guidance, the enablers and the value streams, opens up the potential to discuss many things related to the business performance; that this alignment is critical for ensuring the business functions operate as expected; and that this is the major feature of business architecture and provides answers to so many previously unanswered questions for business managers. Incidentally, since value stream maps are often drawn by hand in pencil (to keep the mapping process real-time, simple and iterative by allowing for simple correction) this tends to reinforce the comment by one of the consumer respondents that his most useful tools are pencil and paper. Enterprise Architecture is an IT version of technical specifications and drawings and not architecture, as such, and Enterprise Architects are mainly focused on the Application and Technology areas. In most cases but not all, there is no such job as an Enterprise Architect. It is in instead the overall term for Business Architects, Solution Architects, Information Architects, Value architects, Journey architects and so on. Enterprise Architects will tend to have a Computer Science degree, or similar; Business Architects will tend to have a business degree or experience. It was also stated that Business Architecture is a logical growth path for an experienced Business Analyst provided they get an Enterprise level understanding of the Business and Architecture. and education backgrounds are similarly varied. The common theme is a deep interest in the business issues and what makes organizations work. For business that serve the “mum and dads”. I believe you will see a grouping of the different architectures based upon the business objectives and capabilities. The first from an Acting CEO that was one of the biggest sceptics when I started the initiative and in admitting he had been, said that he owed me a big apology that he found the Business Architecture to be both highly useful and quite remarkable. 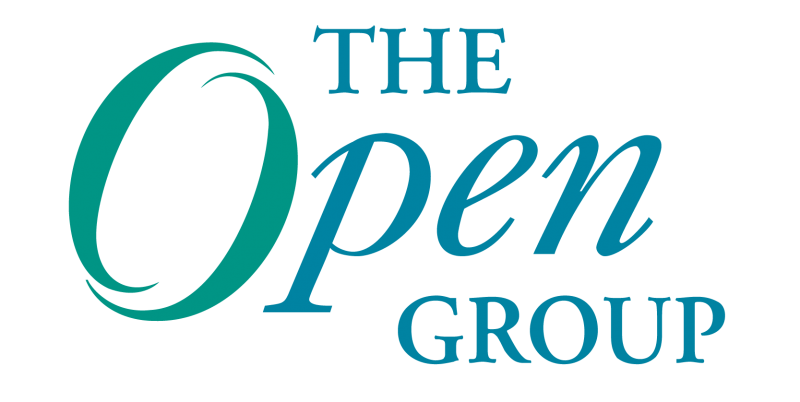 Allen Brown is President and CEO, The Open Group – a global consortium that enables the achievement of business objectives through IT standards. For over 14 years Allen has been responsible for driving The Open Group’s strategic plan and day-to-day operations, including extending its reach into new global markets, such as China, the Middle East, South Africa and India. In addition, he was instrumental in the creation of the AEA, which was formed to increase job opportunities for all of its members and elevate their market value by advancing professional excellence. I can see there is now a realization that enterprise architecture does not really mean “architecture of the enterprise” in its entirety, and that it was (and still is) wrong to keep it confined to the IT department / CIO. This has ensured that EA has been relegated to mean IT architecture, and nothing more. It is also interesting to note that business architects (and business architecture) is striving hard to dissociate from enterprise architects precisely for this reason. While I agree with Pallab’s assessment, I think this is very sad. We who have been championing EA and TOGAF have always said that Business Architecture is one of the Domains of Enterprise Architecture, a subset of it. And the benefit of thinking in this way is that we propose “something” (namely, EA) which is holistic, where the several subsets must be made to fit together. If we start considering Business Architecture as something different and separate from – or even antagonistic to – EA (as some of the respondents to your survey clearly defend), we will end up – again – with our old silos and, of course, nothing good will come out of it. And the holy grail of the holistic approach is, once again, being thrown out of the window, just when we thought we have caught a glimpse of it on the horizon. Thank you for your comments. If you read the first of these two blogs that summarised the responses from the consumer side, it is clear that Business Architecture is part of EA. In fact many do not have a function called EA. Instead they see EA as the combination of Business Architecture and IT Architecture in all of its forms. In collecting and analysing this feedback across such a wide range of often conflicting opinions you have made a very difficult task look very easy. It tells me that the maturity and professionalism of Open Group should determine you playing a major part in this evolution of business architecture. I am pleased to inform you that in September we are releasing a full on-line business architecture workshop program support solution together with a business architecture database and application tools. See http://www.businessarchitectureservices.com I believe with the right tools to hand the many enthusiastic people that are joining this profession will begin to make major a difference to the future performance of business. The work of Open Group and other growing professional organisations is vital for ensuring success and sustainability in business architecture.